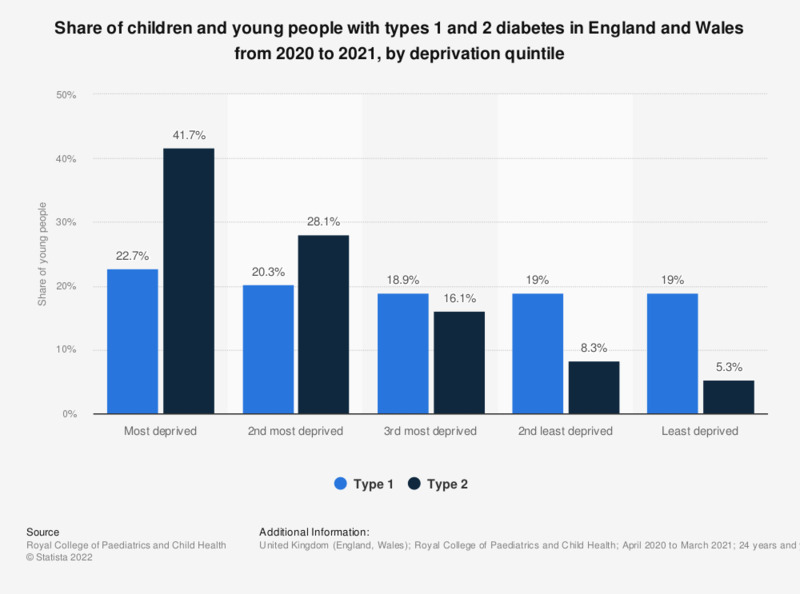 This statistic show the proportion of young people under the age of 24, with type 1 and 2 diabetes in England and Wales in 2013/14, by deprivation quintile. Approximately 42 percent of young people with type 2 diabetes were from the most deprived quintile.. Lacking control of diabetes in the U.S.